Magic London Carpet cleaning Harlesden (NW10) has been servicing the London areas with excellent carpet cleaning and upholstery cleaning over the years. Our company has the most dedicated staff that is fully trained and certified to carry out any and every carpet cleaning job. Call us on 0208 861 0979 for more information and a price quote! Magic Carpet Cleaning’s team will get the job done in no time, and your carpet will look as good as new. Magic London Carpet cleaning in Harlesden (NW10), we will be there for you no matter the size of the job big or small or how tough. We are proud to say that all the carpet cleaning products we use are eco-friendly backed by the latest equipment and machines to get the job done. Once the carpet cleaning job is done, you are guaranteed complete satisfaction. You can count on Magic London Carpet Cleaning in Harlesden (NW10) for professional results! 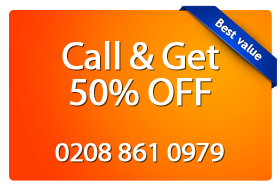 Call us on 0208 861 0979 now. We keep our customer support lines 24/7 open for your convenience. Our friendly assistants are ready to help with every question you have about our cleaning services. Also you can get a free price estimate. Use our on-line booking form as well.